For the longest time, information technology departments in companies all over the United States have been viewed as internal, back-office departments only. AAR CORP.’s chief information officer, Kevin Larson, likes to think otherwise. Larson first joined AAR, an aviation parts and services company, in 1989. He started at the company as a technical support analyst. After three years with AAR and after earning an MBA, Larson became interested in a leadership position to leverage his business degree. He joined the Bank of Montreal to work for its information technology auditing group, where he gained a large amount of experience with key business leaders and enterprise systems, data security, and general controls. This experience helped Larson when he returned to AAR in 1995 as director of operations and technical support. Since becoming chief information officer in 2000, he’s worked hard to make sure his team not only services AAR but contributes to customer-facing solutions. It wasn’t just positive customer feedback that made Larson realize his department could play a larger role in AAR’s revenue generation. Chief executive officer David P. Storch and his leadership team were also a big part of the department’s strategy to commercialize information technology. Storch praised Larson and the department for its numerous capabilities and for the fact that it had been able to avoid some of the problems other information technology departments suffer when it comes to enterprise-resource-planning (ERP) implementations. Getting people to change their mind-set about an information technology department’s purpose is one of the bigger challenges Larson faces. It’s not just people outside of the department, either. Sometimes information technology professionals themselves need to take time to realize they’re not just there to serve their colleagues’ technical issues. Helping drive revenue for the company is also now part of the job description. To get the word out about all that Larson’s team can do, he has hired a sales engineer to work on proposals and marketing materials. 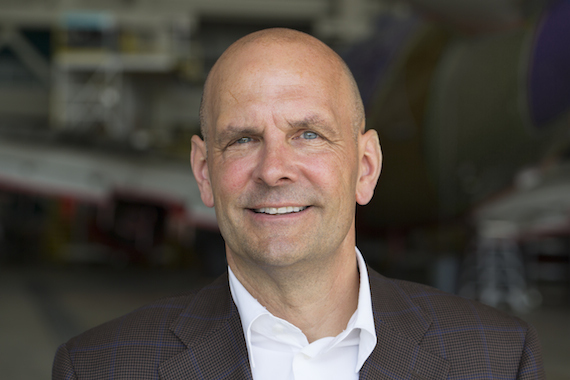 Larson keeps his direct reports in the loop and has gotten an assist from some of the company’s general managers who, when they’re selling AAR’s aviation services, are also trying to sell the company’s information technology services. An information technology department can gain support from its company when its solutions help the company thrive. To that end, Larson’s team is in good shape. The team built an inventory management system that tracks aviation parts. Called IMOPS (Inventory Management and Order Processing System), the system accounts for a customer’s parts requirements, including what alternative parts they’ll accept, as well as paperwork and packing requirements. Larson’s efforts to get his department more involved with the business beyond the traditional service role has paid off. Marketing IT services has even made its way onto Larson’s direct reports’ performance reviews. For example, Larson added an objective to the review of the person who handles logistics and integration: start looking at opportunities for AAR to not only sell IT systems but their services, too. The idea worked—not too long after implementing, AAR got a request from a defense contractor to do some additional integration for a program. “We created the situation by adding value for our customers and our partners,” Larson says. “Let’s go ahead and price it into the program and give them a real competitive way to enhance some of the capabilities that our existing programs provide.” This model will ensure customers have a focused information technology support team for all projects.